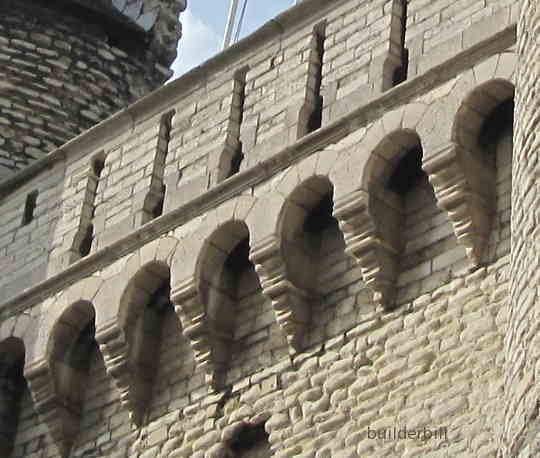 A wide projecting masonry ledge supported by as series of corbels that are connected by arches. 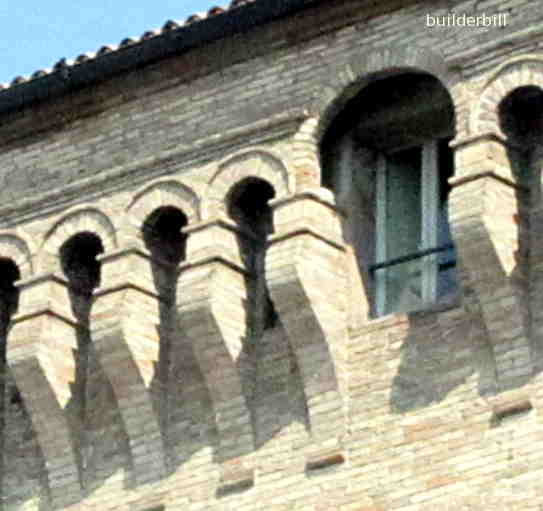 Large eaves corbels in Ravenna. Early Christian and Romanesque in origin these rows of small arches are said to be decorative, but at the same time using bricks or small stones they are a practical way of extending out the top of a wall to to allow for a parapet or gutters etc. The one above is far larger than the usual around Ravenna and the continuation around the window is brilliant. Corbelling seen in Antwerp on the Het Steen Castle overlooking the Rhine. Corbelled arches support house overhangs in Florence. 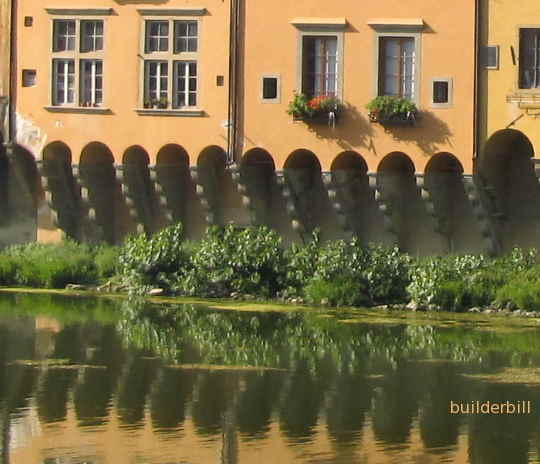 A series or houses line the banks of the Arno River in Florence. Certainly one way of gaining more floor space and I guess it kept the masons busy. It is little wonder that stonemasons had such a high standing in the medieval comunity. The corbel work is the steps out from the wall. the arches on this page are standard semicircular arches that have been around since Roman times. These arched corbelled tables are not to be confused with corbelled arches, they are different altogether. See the next page.